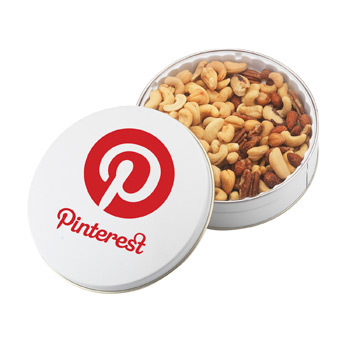 Glad Tidings Tins - 600-CADM - Mixed nuts and Cashews. 10.5 oz of product. Tin dimensions 6 5/8" round. 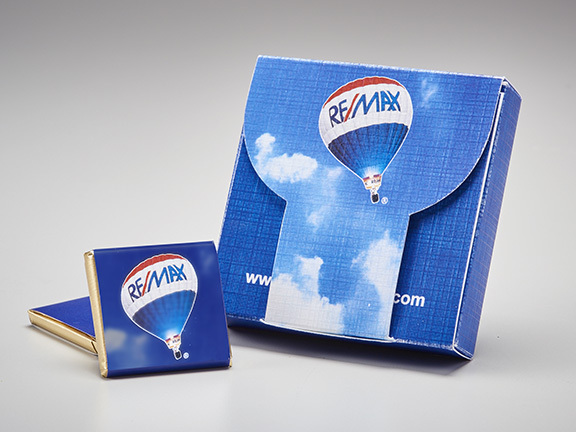 Custom imprint on Silver or White tin. 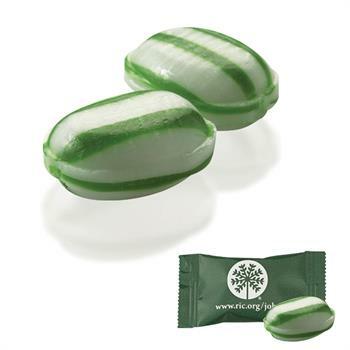 Or choice of stock scenes with logo added. See catalogue link for options. Minimum 24 tins. 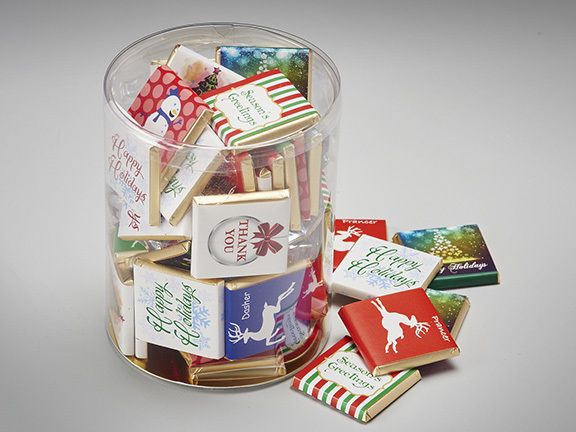 CFB-R COOKIE GIFT BOX WITH 18 ROUND COOKIES. 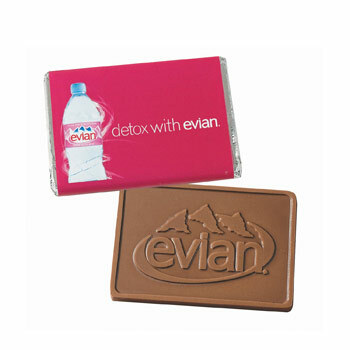 Available with Milk or Dark Chocolate combo. 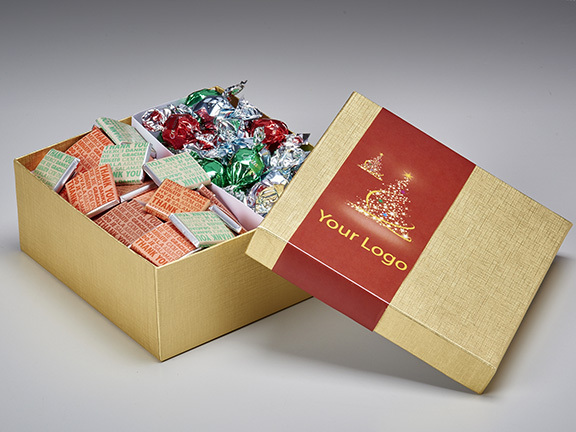 All cookies individually cello bagged Gold or Silver Box Logo on Box Custom molded chocolate cookies Minimum 50 boxes. 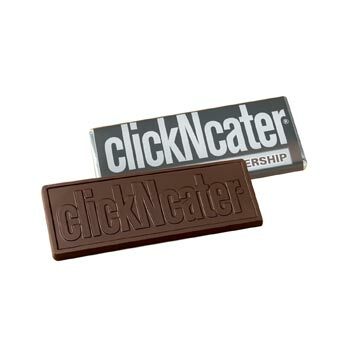 WB1 - 1 oz of chocolate - custom cast chocolate - your logo. 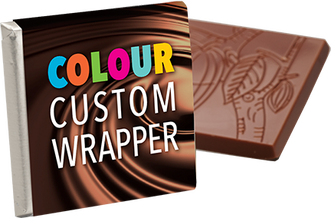 Custom printed wrapper. Milk or Dark Chocolate. 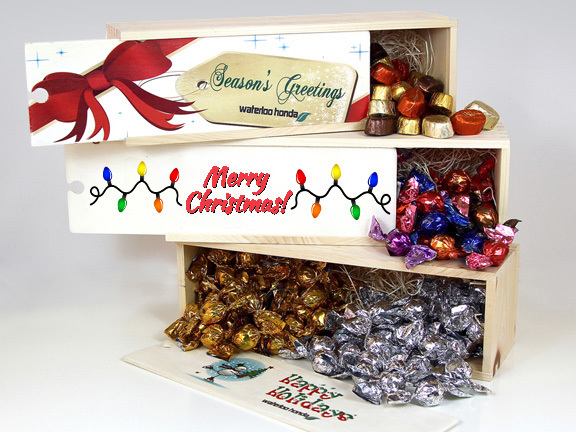 Choice of gold or silver foil wrap. Minimum 250 pieces. 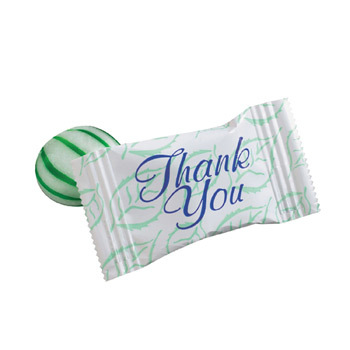 WB 1.75 oz 2 x 5 inch chocolate bar - custom molded with custom printed wrapper. 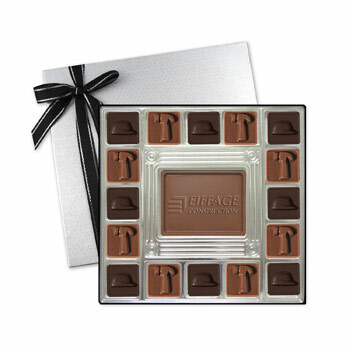 Milk or Dark Chocolate Minimum 250 pieces.